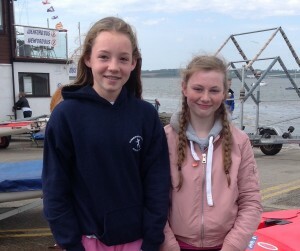 Wexford Harbour Boat & Tennis Club hosted the third Topper traveller event of the year last weekend and our Royal Cork sailors again had a significant presence. A very large fleet of close to fifty toppers came to the start line on Sunday for the three race series. The sun shone more or less all day and the breeze was consistent in strength and direction, making for ideal racing conditions. We had three top ten results which were delivered by the the Carroll brothers (Michael and David) and Jennifer O Shaughnessy finishing 3rd, 7th & 8th respectively. 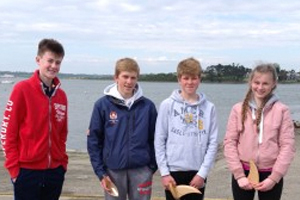 Good performances also from Ben O Hare ,David Jones, Conor Horgan and Georgia Coveney who pushed hard throughout with some strong individual race results and all sailed very consistenly in a highly competitive fleet. Next away event will take place in two weeks time when a large number of our fleet will travel to the Ulster Provincials in Donaghadee S.C. as we continue to welcome Royal Cork sailors to the topper class.